The same is true of letters, leaflets, application forms, brochures, newsletters, directories, consultation documents, community care plans and inspection reports. 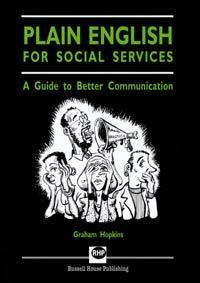 Based on several successful national courses run by the author, Plain English for Social Services is a unique, entertainingly informative and thought-provoking book for anyone involved in social care. 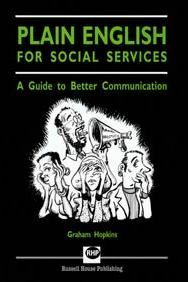 I looks openly and honestly at information produced by Social Services Departments to how how user-unfriendly they can be, and provides guidance on how to communicate better with your intended audience. Graham Hopkins works independently as was for seven years Head of Inspection in the London Borough of Barking and Dagenham, and is acknowledged by NAIRO as the leading expert in Palin English in his field. He is also the author of the acclaimed The Write Stuff.